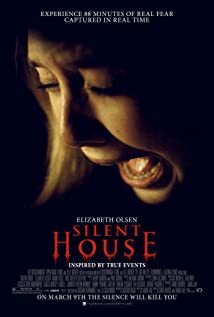 Mere days after the March 6th return of I HATE MY TEENAGE DAUGHTER, Silent House will have it’s official theatrical release – on March 9th. I just went to check the US release date on IMDb and was stunned (and both thrilled and terrified) to see that a UK release date of May 4th had been announced. The film also has an Irish debut of March 16th listed, a week after the US release. So it looks like Open Road Films is making an investment to make their acquisition a success worldwide and it’s great news for overseas fans hoping to catch Eric on the big screen! Woo hoo! The VERY good news so far is that it has an 88% “want to see” user rating (which I would definitely attribute to more than Eric’s diehard fanbase” and the critic reviews are running 4 for 4 fresh. So while there aren’t enough reviews to register a Tomatometer rating, it’s 100% Fresh so far! This entry was posted on Thursday, February 23rd, 2012 at 4:36 pm	and is filed under News/Updates. You can follow any responses to this entry through the RSS 2.0 feed. You can skip to the end and leave a response. Pinging is currently not allowed. ← Classic episodes – including Luke’s coming out episode – available for free, legal streaming for a limited time!